As of 2001[update] Indian census, Narasimhanaickenpalayam had a population of 11,005. Males constituted 51% of the population and females 49%. It had an average literacy rate of 78%, higher than the national average of 59.5%: male literacy is 83%, and female literacy is 73%. 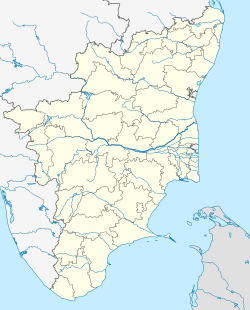 In Narasimhanaickenpalayam, 10% of the population is under 6 years of age. As of 2011[update] Indian census, Narasimhanaickenpalayam had 17,858 people in 5023 households. Males and females constituted 50% of the population; the average literacy rate was 81%: male literacy was 85%, and female literacy was 77%. It is in the foothills of Kurudi Hills, Western Ghats. Narasimhanaickenpalayam is named after Lord Narsimha (Lord Vishnu); a temple is in Narasimhanaickenpalayam. The main bus stand is Narasimhanaickenpalayam Bus. 24-hour bus facility is available from Thudiyalur. There was a railway station in Narasimhanaickenpalayam. It was closed by the railway authorities[when?] even though people protested. Now there are local electric trains running four times a day between Coimbatore Junction and Mettupalayam, but they do not stop at Narasimhanaickenpalayam because there is no infrastructure for the needs of passengers. Town Panchayat allotted land for constructing a Railway Station and works are going. It has healthcare centers, shopping centers, restaurants, hotels, banks and post Office. ^ a b c d e "Census of India 2001: Data from the 2001 Census, including cities, villages and towns (Provisional)". Census Commission of India. Archived from the original on 16 June 2004. Retrieved 1 November 2008. ^ a b c "Census of India: Search Details". Census Commission of India. 2011. This page was last edited on 13 March 2019, at 17:54 (UTC).